I can’t quite believe that Camp Bestival 2015 is this weekend!! 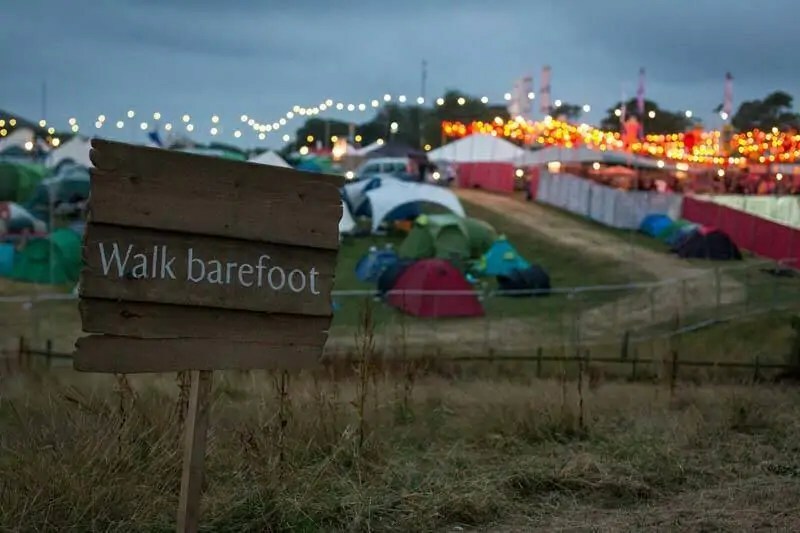 It won’t be long before we are cramming all of our camping gear and clothes into our car and headed down the motorway to Lulworth Cove in Dorset, the location of Camp Bestival. We’ve got our fabric bunting to hang from our tent, so we can spot which one is ours – just one of the many tips for first timers we’ve been given! I have shared the fab line up, as well as details about The Feast Collective, and now it’s time for me to narrow down all the choices and pick the things we simply must make sure we do – everything else we fit in will be a bonus! The Opening Ceremony is an opportunity to give thanks to the Ancestors and Spirits of the land at Lulworth for accepting our presence. We bless the land upon which we walk and call for Peace, Joy and love, ensuring that all that happens within the weekend is Peaceful, blissful and loving. All are welcome to join the local druids at Camp Bestival’s Opening Ceremony which takes place at 7pm on Thursday at Spinney Hollow. If this doesn’t sound like a perfectly chilled way to start proceedings, I don’t know what does. Right now, I’m asking the universe to provide lots of warmth and sunshine! The sumptuous interior of the tent has been hand-stitched in India and is also furnished with huge peacock chandeliers while outside the lawn is bedecked with day beds and the ever-popular silk umbrellas. Bollywood is the place where you will be able to catch some of the finest DJs on the planet with more space for you to flap your arms and legs about with wild abandon. It’s also the location for the Camp Bestival Bloggers’ meet-up, so I can’t wait to go to that. A unique venue from the imagination of Monsieur Bateman, an artist who has been building special sculptures for Camp Bestival for several years. Built entirely from vintage caravans and fairground rides, it’s the place to go wild and grab some cocktail treats while you kick back and enjoy the floor-filling gypsy-fuelled vintage beats. A chilled-out hang out in the afternoon and positively rambunctious at night! The fact that it sounds like it is weird but wonderful means I have to check it out! Is it a zoo…..is it a safari park…. no, it’s Shademakers (one of the Europes leading carnival groups) wild parade of weird, wild and wonderful creatures. Be amazed at toffee chomping ants, headstrong chickens running headlessly about in a mad conga line, incontinent monkeys, a tankful of fish and the fish wives, plus Red, Gold and White Lions (the ones they named the Inns after!). Disney it won’t be, (hahaah!) but I love a parade, and HAVE to see this! The I Knit crew are the woolly darlings of the London crafting scene and have pioneered group knitting sessions for those who like a beer whilst they knit one, pearl one. Still setting trends, the I Knit team are coming to Camp Bestival in full force and will be running drop-in sessions from their tent and vintage French caravan as well as 2 hour workshops with the country’s best knitting masters. I’m using this weekend to have fun, as well as take a complete break from computers, the internet (maybe a few Instagrams if I get signal! ), work and stress, so I’m doing all I can to chill out. If that means knitting for a couple of hours so be it! Being a darkened chamber with an aperture through which images of outside objects are projected onto a viewing surface. The pinhole camera obscura phenomenon was observed and recorded as long ago as the fifth century BC in China. No real changes were made until the thirteenth century when a lens replaced the hole making the resultant image brighter and sharper. I learned about Camera Obscura a few weeks ago at a photography workshop, so I can’t wait to see one in action! Camp Bestival’s first of its kind area for ages 13 to 17, curated by a small team of young festival producers. Our genre-spanning line-up won’t disappoint with contemporary folk, live drum and bass and house you like, along with special guests from the Guardian Literary Institute and the very best bits of Rob da Bank’s Music Club plus film screenings, open mic sessions and much more. Head over to the The Den to lose yourself in new music and try something life changing! This one isn’t for us grown ups, for my teen – whether he will actually hang out in here is to be seen! Wild Wellbeing believes that meditation is an invaluable tool that has the ability to heal both body and mind. We will offer an opportunity to give voluntary donations at all meditation sessions, all of which will go to www.mind.org.uk. The David Lynch Foundation will also be joining us in the fields bringing their talks in Transcendental Mediation to the Yoga Yurt, amongst other instructor led workshops in meditation. A weekend for me to chill out – I really need to learn to do that, so I’m hoping to go to one of the meditation sessions. Canopy & Stars are coming to the fields, and life is but a dream of traditional fairytales, music, poetry and a touch of the surreal. Come and join our magical storytellers as, with a sprinkling of The Sandman’s dust, they lull you into a fairytale land of myth, wonder and surprise. For full immersion, bring your golden ticket at 3pm and experience our sensory story session. Or create your own magical jar of ‘Dream Me’. You are sure to be enchanted. See above re: chilling out. And on top of all that there is the music, the comedy, the theatre, the talks… I think we’re going to just go with the flow and see where each day takes us! Are you going to Camp Bestival? What are you looking forward to seeing/doing? Disclosure: I am receiving family Camp Bestival 2015 tickets in return for previews and reviews of this year’s festival. As always, views and opinions are my own. We ended up missing it as well – for some reason, the fact that it was on, on Thursday evening went out of my brain :/ Gutted to have missed the closing fireworks too – just about to watch the video. Hope you are all having a great time and the weather stays nice too! Ah it sounds amazing! I love the idea of the Bollywood bit as well. So much to do!